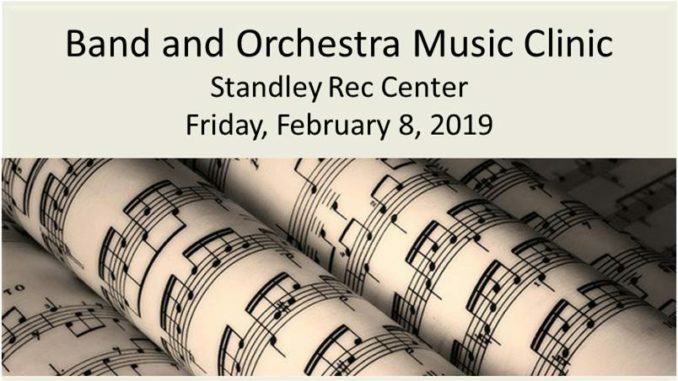 Music Clinic, Band and Orchestra: All 4th and 5th graders are invited to a Band and Orchestra Music Clinic at Standley Rec Center on Friday, February 8 from 2:45-4:15 PM. Music method book donations: Donate your child’s old elementary music method book. The following books are needed for all band and orchestral instruments: Band only: Standard of Excellence Book 1: Comprehensive Band Method; and Standard of Excellence: First Performance. Band and Orchestra: Essential Elements Book 1. Music stands for Spreckels Elementary: Julianne is also trying to raise money to purchase quality music stands to support the musical efforts of students at Spreckels. For more information about the Music Clinic and donation opportunities, please email music.gsgold18@gmail.com.